For a country that has been reeling under severe drought and availability of food and water has become more uncertain than ever, destruction of ecosystems is the last thing it would want. But people in Kenya’s Tana River delta are facing their worst fears. More than 240,000 people, mostly belonging to Pokomo, Orma and Wardei communities, live in Tana River County, the main location of the Tana River delta. Farming, livestock keeping and fishing are the major economic activities of the locals and their survival is linked to availability of water in the delta wetland. 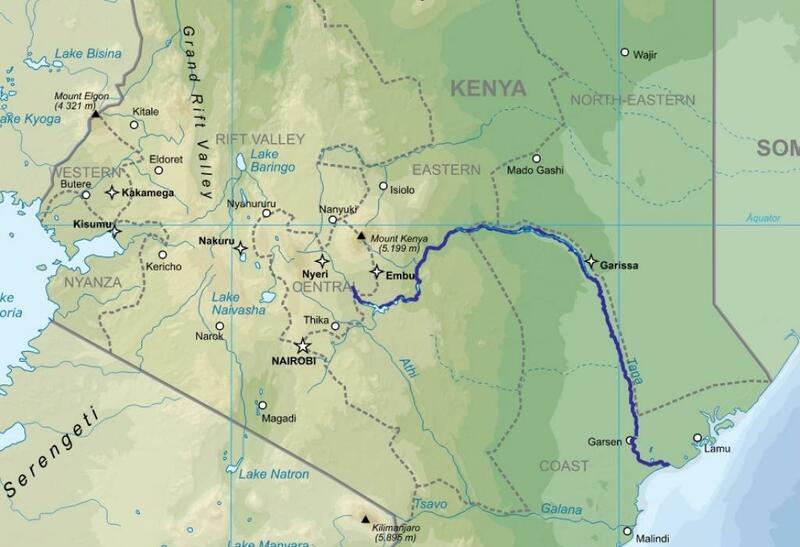 While the delta region is considered drought-prone due to erratic rainfall and sandy soils, the Kenyan government’s plan to divert water in the upstream will further exacerbate the problem. Under the new dam and irrigation scheme, the government is building High Grand Falls Dam—the country’s biggest dam—on the Tana River—Kenya’s longest river that runs from the Aberdare Mountains in Central Kenya to Garsen town in the east, before entering the Indian Ocean. It means lesser amount of water will reach downstream. “What is happening upstream is affecting what is happening downstream. If you are going to interfere with the upstream, the people in downstream, who depend on water flows for rice cultivation or maintaining mangroves, will suffer,” says Julie Mulonga, Programme Head, Wetlands International Kenya—a global non-profit dedicated to restoration and conservation of wetlands. Even though the additional dam can regulate extreme floods, it will also lead to further reduction of river discharge and moderate flooding, which can have disastrous effect on the Lower Catchment region, where cultivable land is scarce and agriculture depends on the Tana’s floods as a source of water and sediment to make the land fertile. Hence, the proposed dam is not good news for people living in Tana Delta, whose size has decreased significantly from 43,334 hectare (ha) in 2000 to 4,112 ha in 2010, representing 91 per cent loss within a span of 10 years. On top of that, there is large-scale migration of people from arid and semi-arid areas to Tana River basin in search of pasture and water. A first-of-a-kind study by Wetlands International and the Vrije University in Amsterdam has identified ecosystem services within the River Tana basin and has done a cost-benefit analysis that takes into account environmental and societal changes both upstream and downstream in the river basin will have. 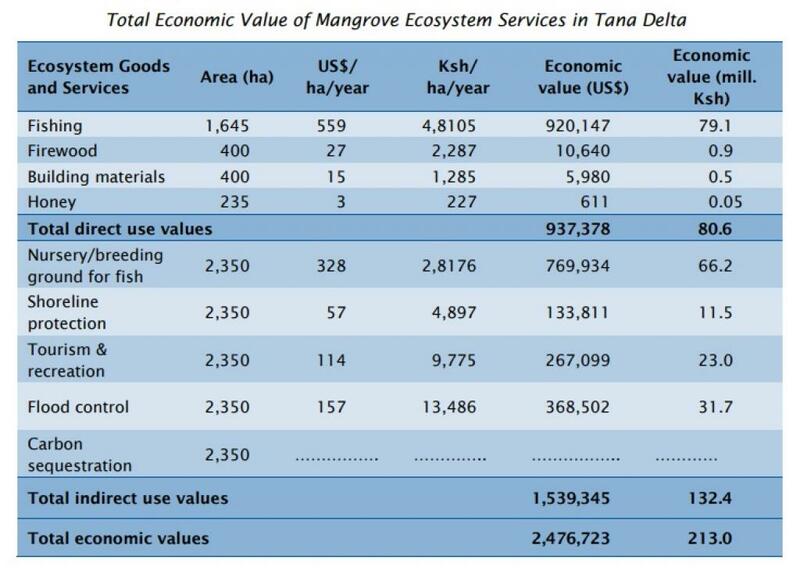 According to the study, the annual economic value of mangrove ecosystem in the Tana Delta is US$2.5 million. 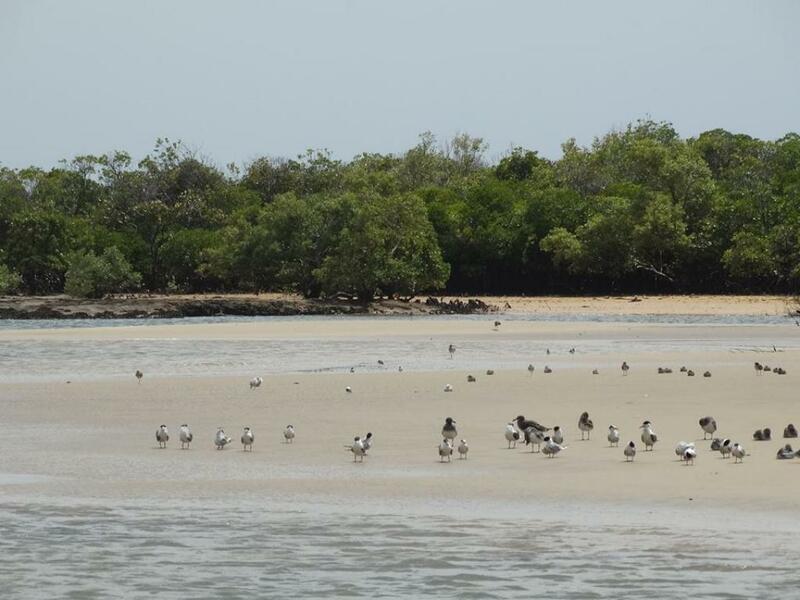 However, the economic benefits of mangroves can be reaped only when there is sufficient water discharge into the Tana Delta. This is because mangroves need regular flooding of delta to neutralise increased salinity. Thus, the study makes a case for a better design of upstream dams and irrigation projects to “allow the ecosystem receive its fair share of the important resource input”. This is where the role of environmental governance comes into play. “Environmental governance should not be restricted to making policies at national level, but also at community level. If the government consults local communities well and explains its future plans, then it will create awareness among people,” Mulonga tells Down To Earth. But what has been the locals’ response to reduced water flow in the delta and ensuing destruction of their ecosystem? “If you provide them knowledge, they are very much willing to understand the scale of the problem. However, we have realised that even while we talk to them about environmental conservation, we also have to address their livelihood needs. You cannot have someone to take care of environment, while his or her livelihood needs are ignored. So, we have to adopt a two-pronged approach,” observes Mulonga. To build community resilience, Wetlands International has been promoting bee-keeping in Kipini, Tana River County. 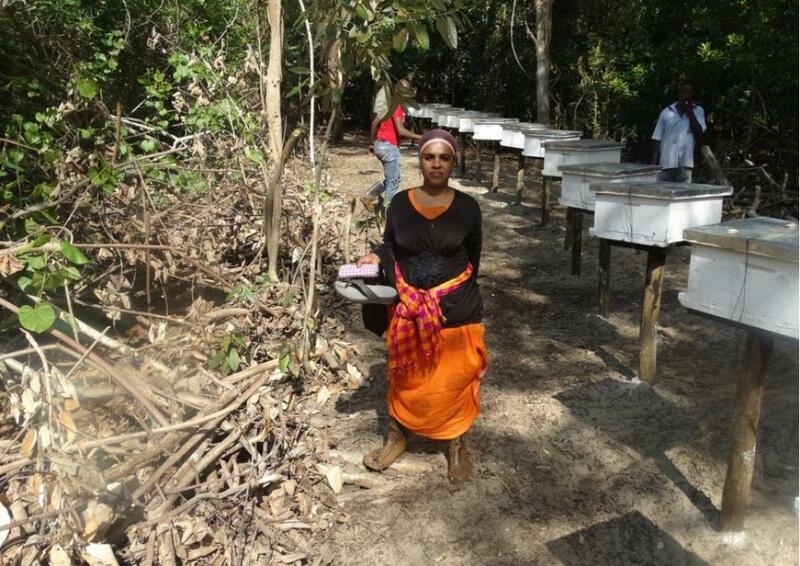 “We are encouraging the mangrove community in Kipini to put beehives within mangroves so that they can sell honey as an alternate livelihood option,” explains Mulonga. While Wetlands International is building resilience among communities and educating them on importance of ecosystems for their economic well-being, public awareness about future plans for the Tana River Basin is limited. In fact, most people have no knowledge of the proposed High Grand Falls dam. According to media reports, more than half a dozen companies are scrambling for a space in the delta. The proposed projects vary from sugarcane production to titanium extraction and development of a port in Lamu to setting up of oil refinery.